"Happiness is... a curated beauty Box". It is May 2018, a month of holidays and vacations. A lot of us, to combat the slimy, sweaty summers, take the route to a hill station or a nice breezy resort to spend our holidays. To make these vacations special, what if you get a specially curated beauty box? Well, that's what this month's Envy box is all about. 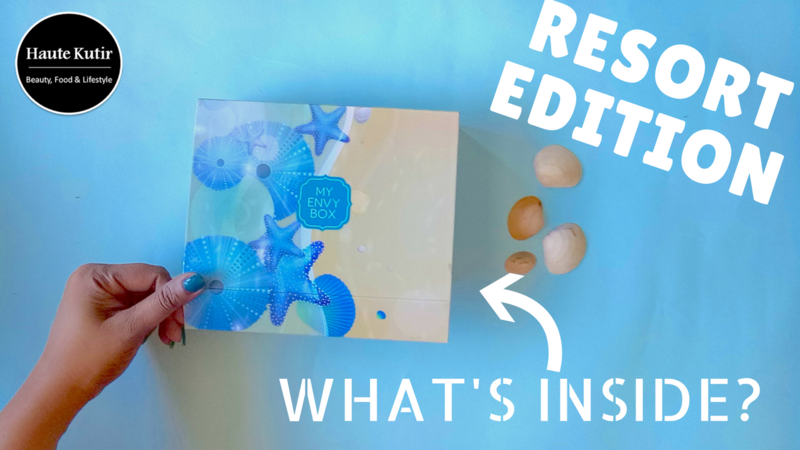 It is a specially designed box for vacay getaways which not just have a great sea coral design but some very interesting products too. And if you are planning to gift one to your mother or mother of your children, then the box has a special Mother's day product this month. 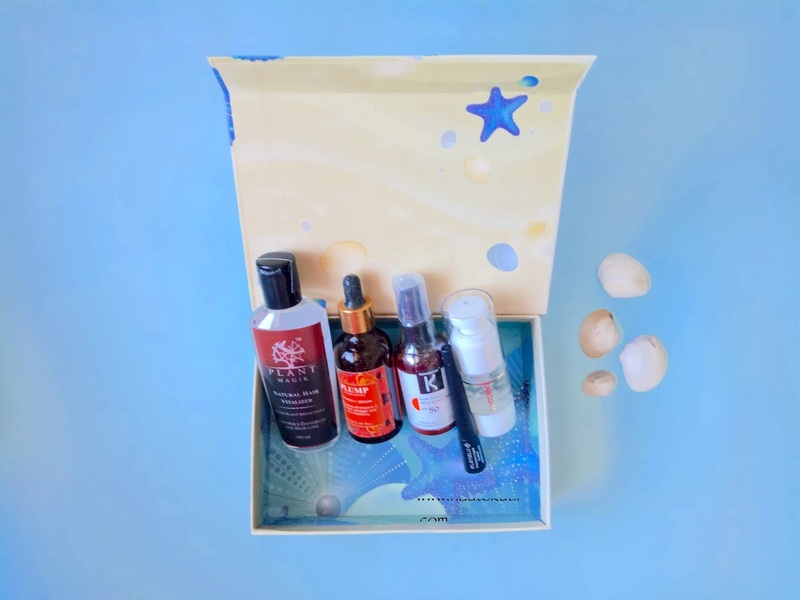 What: Monthly Beauty Subscription Box by My Envy Box Theme: Resort Edition MRP: Rs 850 Combined MRP of the Products Inside: Rs 4000. Seeing is believing. I have made a quick [less than 2 minutes video] unboxing this beautiful box. Watch the full unboxing here or click this link to head to this video on my YouTube Channel. Watch more on my YouTube Channel. SUBSCRIBE NOW! 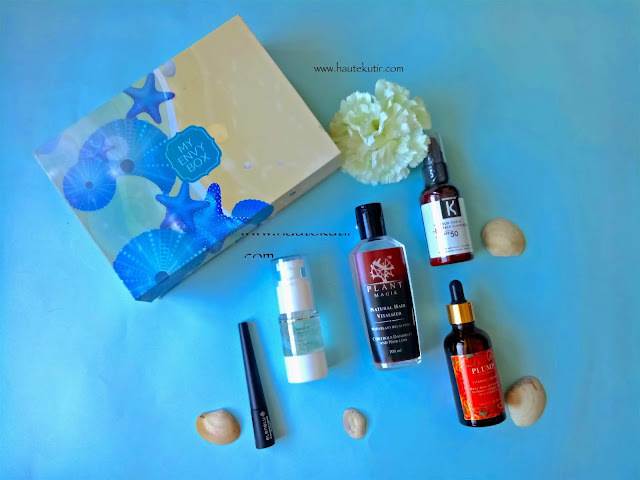 Here's what team My Envy Box- One of the Premium Beauty Subscription boxes in India, packed in their latest box for May 2018. 1) The Face Serum: Vitamin C works wonder for our skin. I wanna try this serum as skin care and beneath the makeup base. Let me know if you need a YouTube video on this. 2) The eyeliner: I am a big fan of liquid eye-liners. Glad to receive one and that too in the black color.Let me know if you need any review on the same. Haute Kutir Verdict: Overall I liked this box and the fact that team MEB came with an interesting theme after quite sometime. 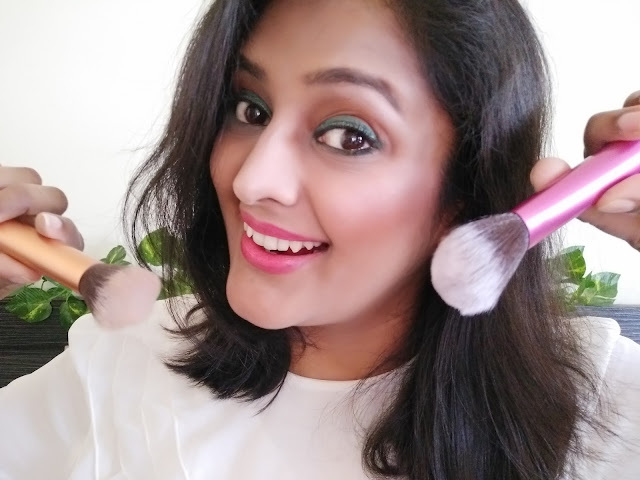 The theme is quite unique and the products quite different from what is available in the sea of random monthly beauty boxes that the beauty market is flooded with. With a new box coming every month, MEB stands tall with its unique and Value for Money proposition. 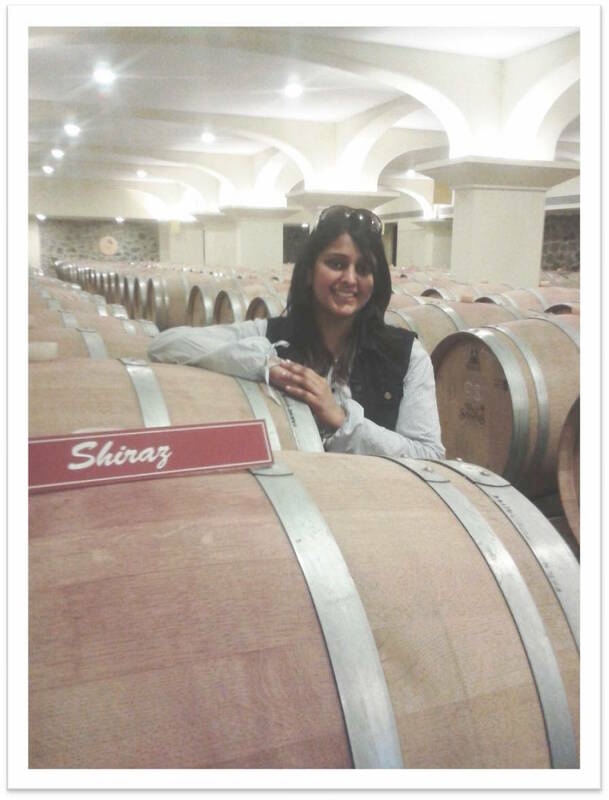 MEB boxes are not just good for self-indulgences but are a great gifting option too. So what are you waiting for? Go ahead and book some of self and the one you care. For any collab/ PR enquiry, mail us.